This is an absolutely beautiful full size SUV! This full size Luxury SUV drives like it did the day it rolled off the production line. The tires are new, chrome alloy wheels! The engine is the 6.2 liter 403 HORSE POWER! You can tow your toys to where you want to!!! Inside you have heated and cooled leather seats, climate control system.... Full power windows, locks, cruise, HEATED STEERING WHEEL! The luxury appointments leave nothing left to be desired. 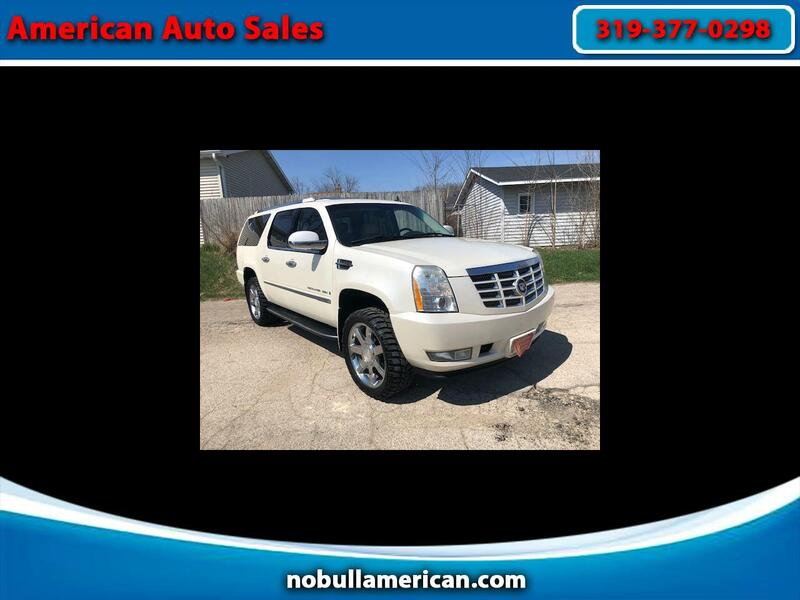 you have GMs navigation, XM option for the sat radio..FACTORY SUNROOF, New you are looking at a over $70,000 dollar SUV....... You can reach us at 319-377-0298 Jeff or Bryce..... It will come with a Nation Wide Limited Power Train warranty.......... Have a great American Day!